- 8 Individually Addressable Areas, 32 Sensors in Series. 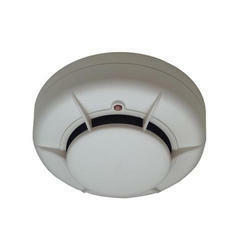 With enriched market experience, we have been able to offer a wide spectrum of Smoke Detector. We have been counted amongst the most trusted names in this domain, engaged in offering standard quality range of Smoke Detector. It can install and maintain easy for residential smoke alarms, It is cost effective expensive ways to provide warning early stage when a fire starts begin. It protect warning by loud alarm up to 85 dB prevent injuries and minimise property damage from Fire. Matching up with the exact requirements of customers, we are involved in presenting a wide array of Smoke Detector. Keeping the diverse requirements of customers in mind, we are instrumental in providing Smoke Detector. 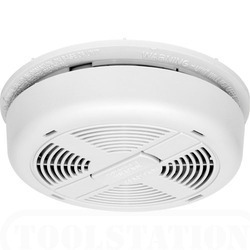 We provides Conventional and addressable Smoke Detectors. Products available: Ravel, Morley, GST, System Sensor, Cooper, Honeywell, Bosch, Pinnacle and other brands.